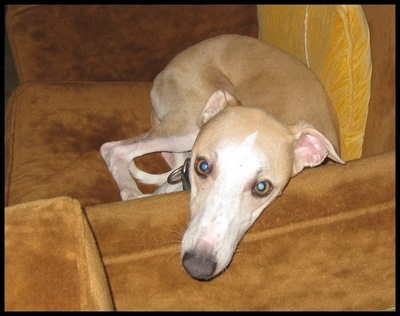 Whippets, along with their bigger cousins, the greyhound, have a lovely soft silky coat and are very regal and mischievous. I have wanted to own a whippet for many years and finally got the chance a few years ago. 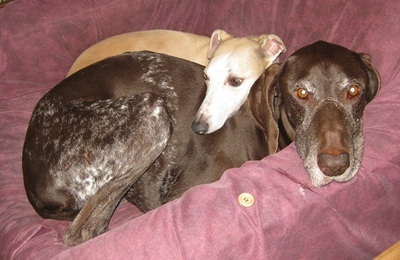 They have one annoying habit which whippet owners call "bench surfing". They can jump from standing, straight upwards on to kitchen benches! And here he is after being told he is a naughty dog. Whippets can of course, run like the wind, similar to their larger cousin, the greyhound. They are raced in other countries but not in Australia. My whippet also thinks he is a lap dog as he keeps jumping onto my lap and sitting down. He also must believe that couches/leather chairs, and beds are for dogs, as he is continually found sleeping on places other than his own dog bed. They are a loving dog and although I think they need a good run once a week, adapt well in smaller yard situations. Here, he is snuggling up to my older dog. 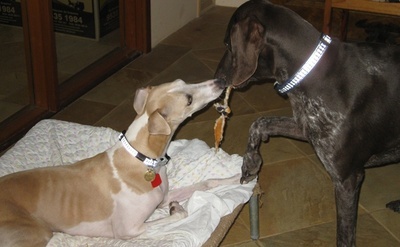 Whippets males weigh around 15 kgs and are an ideal family dog -they are full of energy and love. They are in the medium price range for dogs. 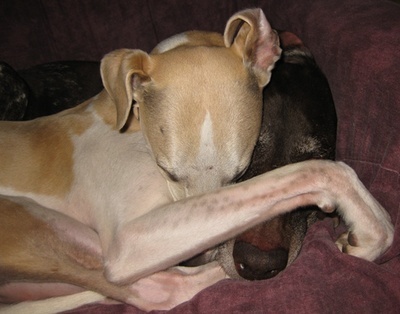 The greyhounds however, get destroyed often, as they are no longer wanted when their racing days are over. 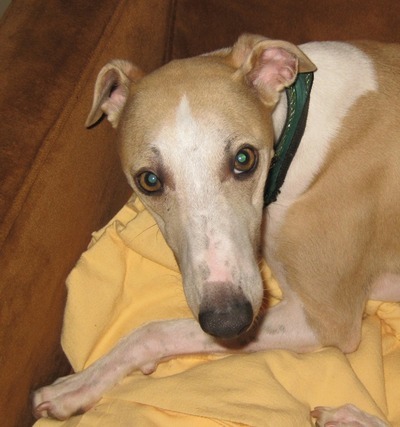 Greyhounds are therefore not expensive and are often free.